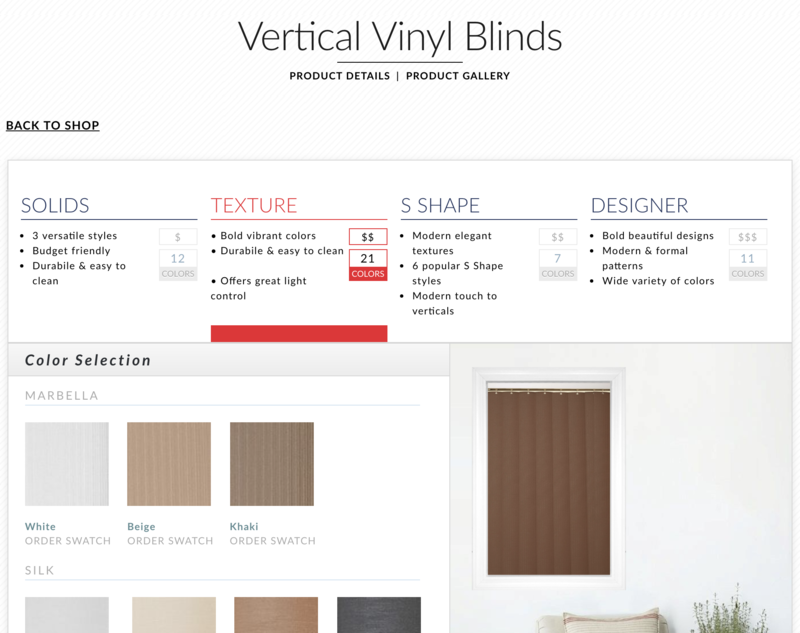 2011 Blinds to Go approached us to find a solution to present and sell their consumer products online. 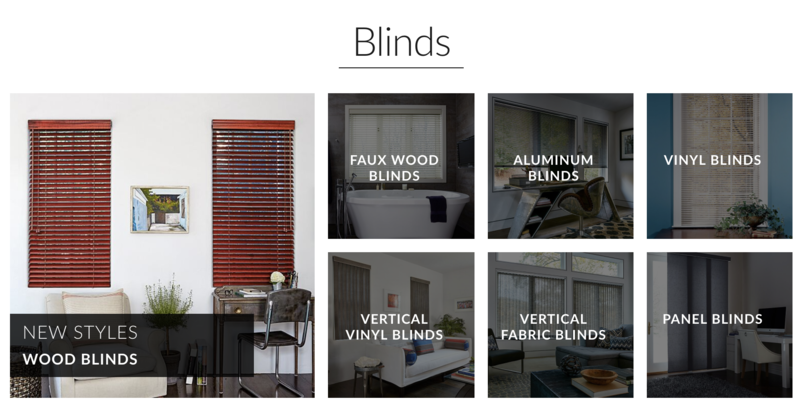 Blinds to Go manufactures and sells consumer window shades and blinds in Canada and northeast US. Their catalog consists of around 100 products, each with 5-20 colors/materials. The products are built to order, they have custom width and height and come with various customizable features like cord locks, turning mechanisms and alike. Products that are built-to-order are presented to customers in a simple and intuitive way. Minimizing sales team effort by automation. Automated order forwarding to the ERP system. The challenge was to find a way to present the products with their customizable options to consumers in a visually appealing way. More than that, the product’s attributes have dependencies (minimum and maximum width and height depends on chosen style, feature availability changes by chosen width and height and other factors). The customer should not be concerned with these and be presented with available options while he makes his choices. 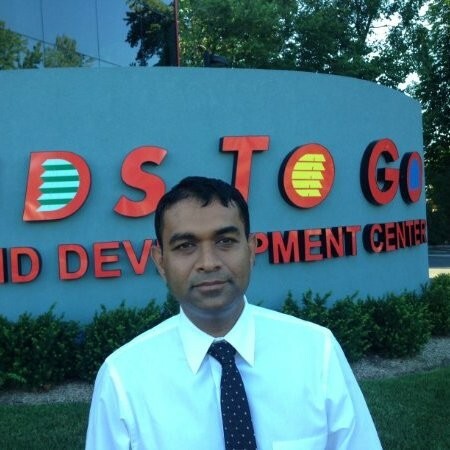 "We calculate pricing with our own IT system, have a way to show it to our customers while they make selections." Product pricing depends heavily on the selections in the configurator (chosen measurements, features) and we had to find a way to show the customer product pricing while he makes selections. Even though ConfigBox' price calculation engine was the better match for pricing, the client needed to pull pricing from their internal IBM AS/400 ERP system. We worked out how to reference ERP product data with CB product data and developed an API that supplies selections and receives the regional price. 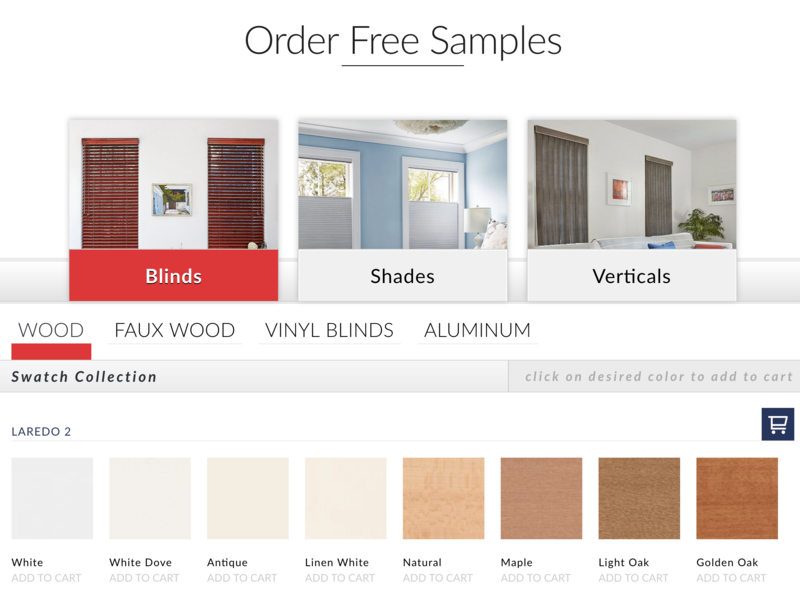 "Selling blinds online is difficult because people can’t see the materials and colors in real life before purchase - we must find a convenient way to address customer concerns and lower barriers for purchasing." 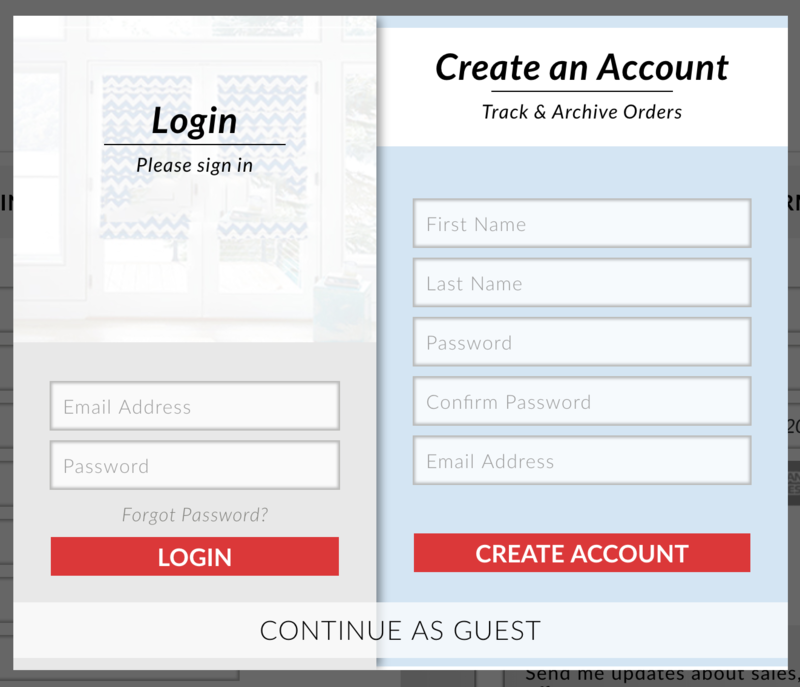 We have put a system in place that lets customers order samples free of charge and maximized convenience by ordering directly from advertising pages and configurator. Since product advertising pages are made with CMS content builders and the huge amount of styles and colors, we had to find a way to integrate product data in those pages in a point and click fashion. 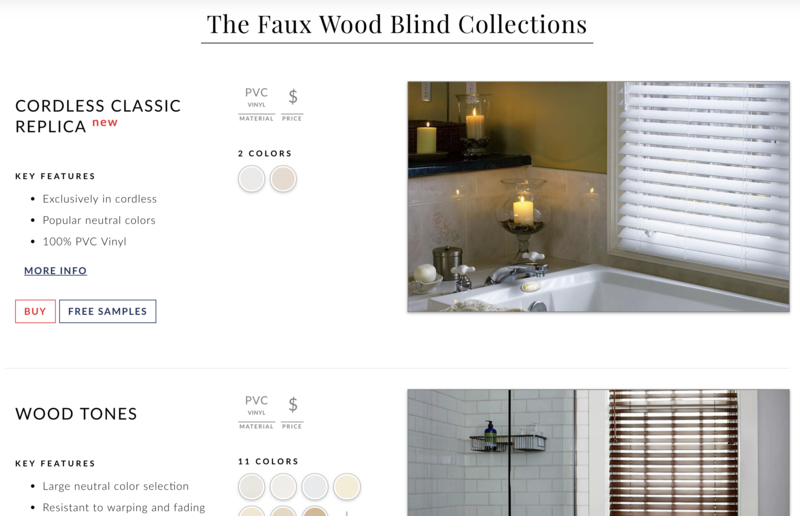 The end customers should be able to order a swatch on any page where he considers a product (product description pages, configurator page itself and also on an overview page with all styles and colors. 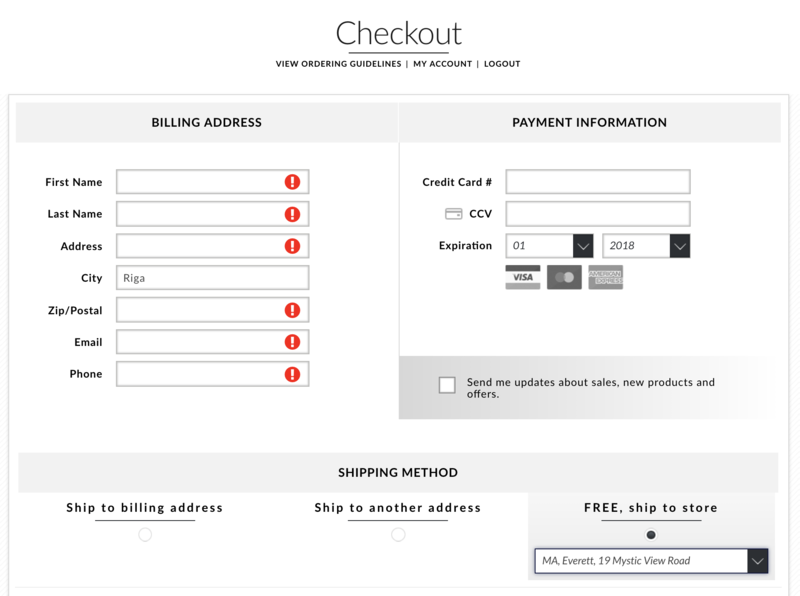 The customer should be able to request swatches with minimal effort, so a stripped down version of the checkout should be shown instead of the full-fledged checkout page. "Our website is huge, how do we keep oversight and keep content up-to-date?" Keeping the website content up to date proved to be a burden on the page editors. The client uses SP Page Builder, we created custom Add-ons that enable web content editors to insert product information like colors, styles and other information by point and click. We set up the configurator page so that the customer gets to make selections for the things he cares about most first and following possible answers get filtered as he keeps on making selections. Using ConfigBox' compatibility rules engine, the client was able to define rules with his own staff. Each configurator question and answer can have a rule that dictates if the question/answer should be shown given the customer’s current configuration. These rules get evaluated after each customer’s selection and the questions/answers get altered in real-time. We bypassed ConfigBox’ calculation system and assigned the ERPs reference codes for each product component and measurement to CB’s product data. We set up a HTTP request based API between ConfigBox and the ERP system and exchange reference codes and pricing. Each configurator question has a so-called ‘Segment Code’ identifying the input to the ERP system. Each answer in the configurator has a ‘Value Code’ that identifies the answer in the ERP system. We used the CB answer’s SKU field. Each time the customer makes a selection in the configurator, the answers are collected and send through the pricing API to fetch a price for the product. The process from a customer making a selection on the configurator page and the price updating on the page takes 600ms on average. We enabled the end customers to order free swatches on any page where he considers purchasing a product. To make content management easy, we built content add-ons that enabled staff to add swatches in a point and click fashion to display available colors with an elegant and convenient way to order. The content editor merely chooses the styles to show and the system does the rest. On top of swatch ordering on product advertising pages, we made a page that shows all swatches grouped by product line and styles for customers seeking to overlook the whole catalogue. In order to minimize dropouts on configurator pages, we integrated swatch order buttons in the configurator pages themselves. Automatic swatch catalog management: We put a system in place what lets staff mark the color questions in the product configurator backend and the system automatically reads out the appropriate data and displays swatches and handles placing swatches into the cart. 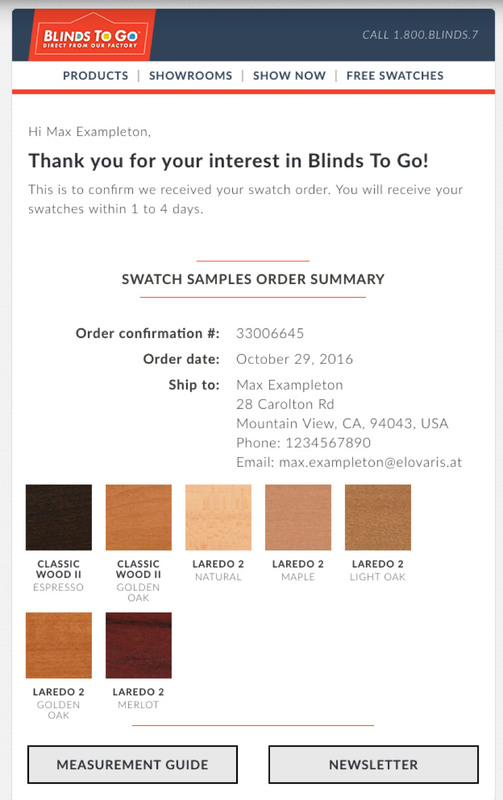 Custom confirmation email design: The user experience should not end with the place order button - especially when we dispatch only swatches. 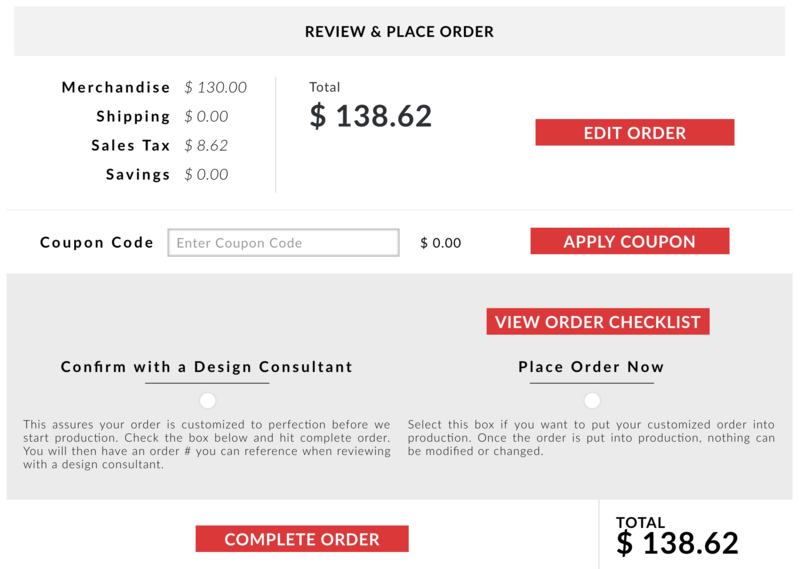 We implemented an attractive design for order confirmation emails to the customer and sales staff. Honest consultation, reliable execution and excellent results. Rovexo is a reliable partner that supported our online success many years already.